Courtesy of TransfixThis trucking company is in the middle of Manhattan. 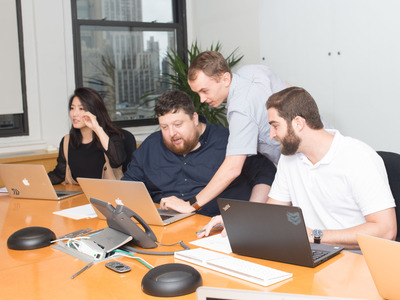 Transfix, an app for truck drivers to connect with shippers, is based in New York City. That’s unusual for most trucking companies, which are often found in cities like Green Bay, Wisconsin and Omaha, Nebraska. Founded in 2013, Transfix CEO Drew McElroy said it was crucial for the company’s success that they capture the engineering talent that’s hard to find outside of New York or San Francisco. However, being headquartered in New York is pricier than being in the Midwest or Southeast. San Francisco, New York, and other coastal cities are the typical hubs we think of for major corporations and startups alike. But the $US1.45 trillion logistics industry operates a little differently. The biggest companies in trucking, for instance, are headquartered in cities like Omaha, Nebraska, Green Bay, Wisconsin, and Lowell, Arkansas. 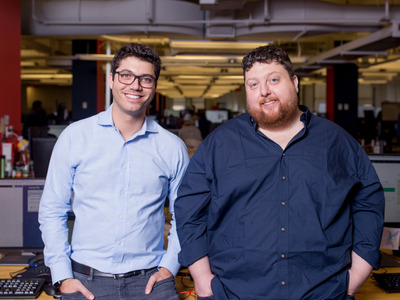 That created an interesting dynamic for logistics entrepreneurs like Drew McElroy and Jonathan Salama, when they were looking for a headquarters for their trucking startup Transfix. 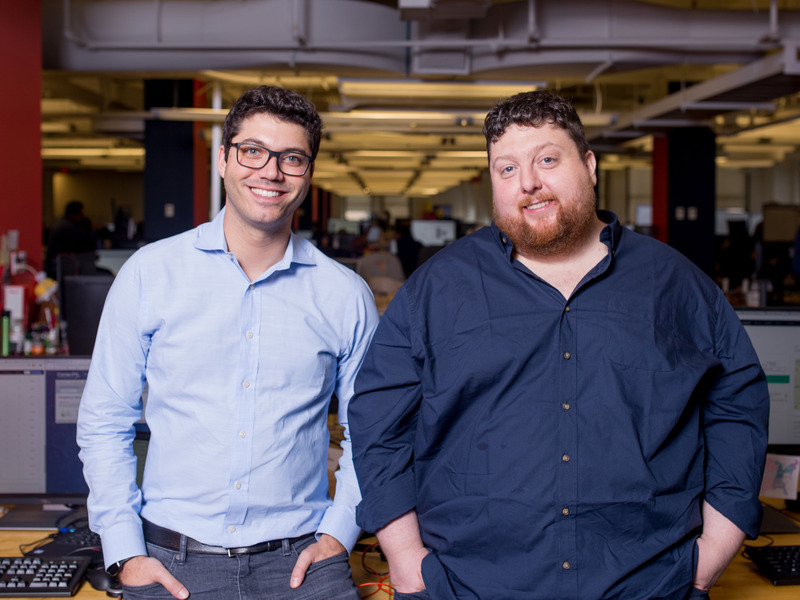 Transfix, which was founded in 2013, is an app that connects truck drivers to shipping companies. McElroy said that, in order for the company to flourish, they needed the best people in both logistics and technology – people who know how the trucking industry works, as well as the best data scientists and engineers. Many new companies in the logistics space, McElroy said, don’t prioritise that blend. McElroy said his decade in the logistics space combined with the engineering expertise of his co-founder Salama, a programmer who was previously at Gilt.com and Microsoft, sets Transfix apart from other startups. Courtesy of TransfixTransfix co-founders Jonathan Salama and Drew McElroy. In order to be somewhere where they could continue to attract the best in logistics and engineering, they would have to be strategic in where they located their offices. “What is absolutely critical is to get the best of everybody,” McElroy said. Locating in the Midwest or Southeast would be ideal for finding logistics talent. And, it’s cheaper to operate there than in coastal hubs like New York or San Francisco. The median base salary for a software engineer in New York City is $US100,000, according to LinkedIn Salary. In Indianapolis, for comparison, the median pay is $US72,700. However, McElroy and Salama decided it would be much easier to lure logistics folks to the coasts than programmers to the Midwest. So, they settled on locating their office in New York City. Other logistics startups have followed suit in keeping it coastal. Convoy, another freight brokerage app, is based in Seattle. Silicon Valley, meanwhile, is home to Trucker Path,Peloton Technology,Terminal 49, and Otto.